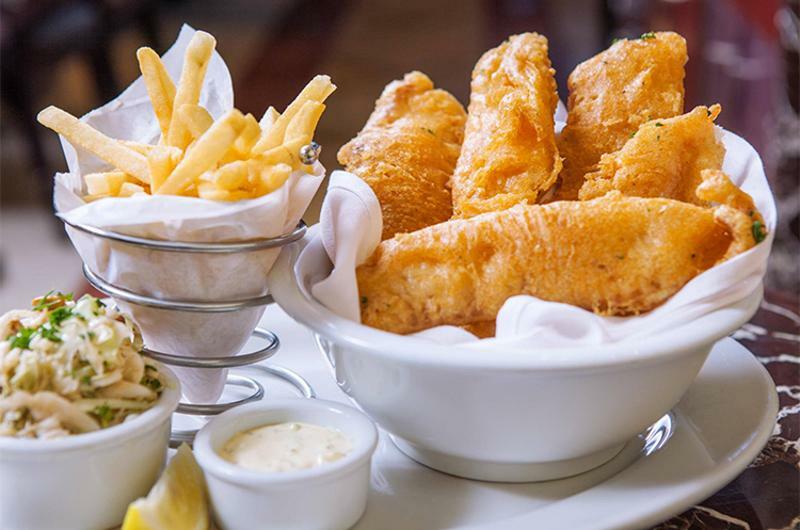 The demand for seafood skyrockets during Lent, which begins this year on March 1. Observant customers seek out meatless dishes during the 40-day period that extends through Easter, and fish and shellfish are top picks. These seafood recipes can easily be added to the rotation now, but may prove popular enough to stay on the menu way beyond Lenten season. Mild tasting, economical and adaptable to many flavor pairings, pollock has wide appeal for both operators and customers. 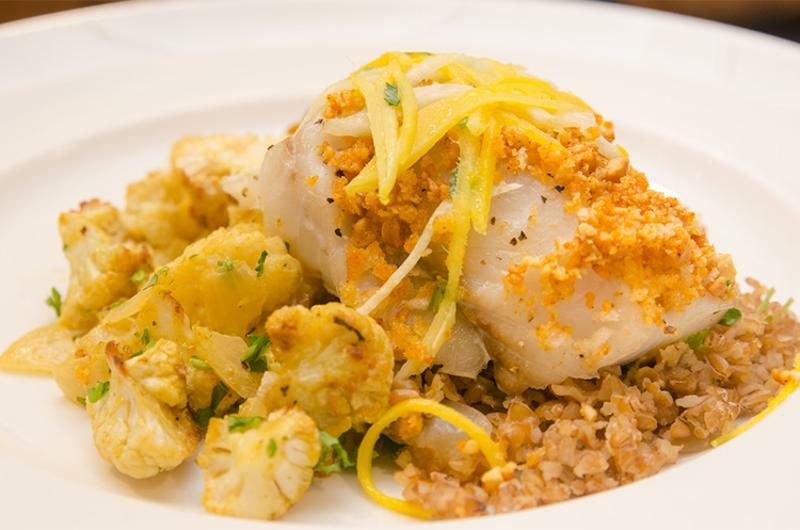 Instead of frying the fish, the chefs at the University of Massachusetts, Amherst go for a healthier prep—they top each fillet with a nutty panko mix and roast them in the oven. A garnish of mango jicama slaw is a welcome riff on the usual cole slaw. 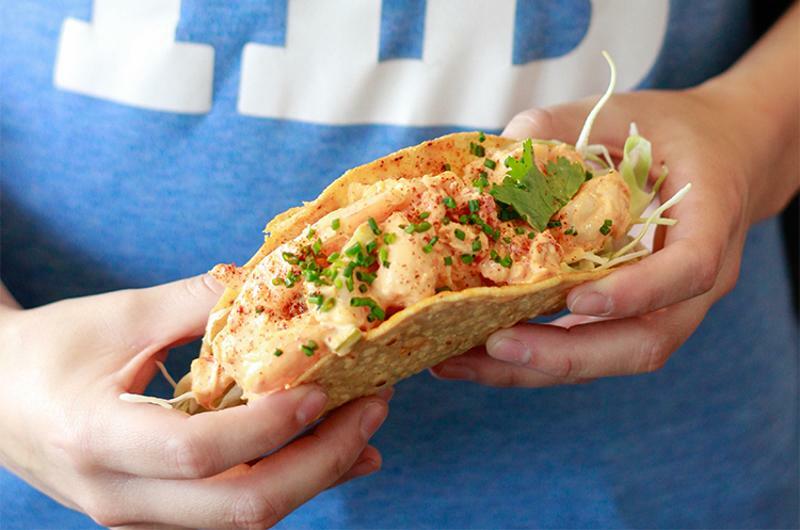 Slapfish bills itself as a “modern seafood shack” and serves up a menu of fish tacos, shrimp rolls, fish and chips and seafood sandwiches. Sustainability is a prime sourcing goal of this fast-casual chain, and chef Gruel says he chooses albacore tuna from the Pacific Northwest for his poke because the species is so well managed. 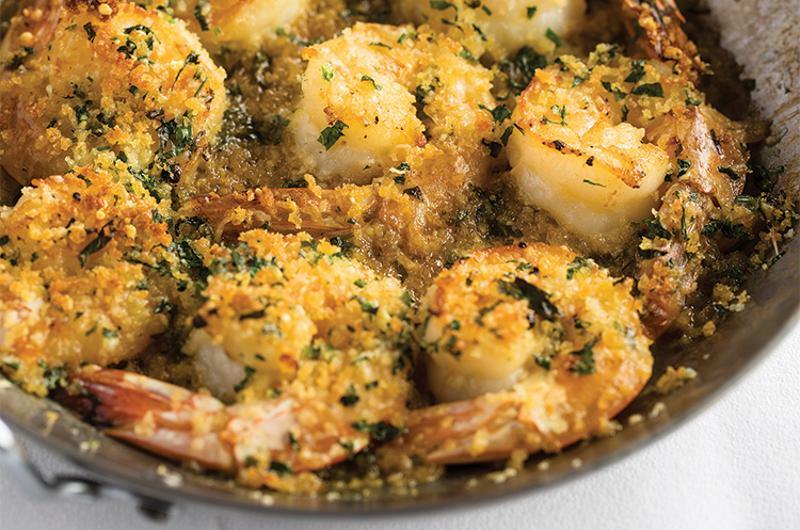 Shrimp Scampi is one of those classics that never goes out of style. Chef Vauthy gives the dish a signature twist by adding grated Romano cheese, shallots and hot sauce to the ingredient list. At Red, the scampi can be shared as an appetizer or ordered as an entree. This fish dish incorporates the flavors and ingredients of North Africa, a cuisine that’s on the rise, according to 2017 trend forecasters. 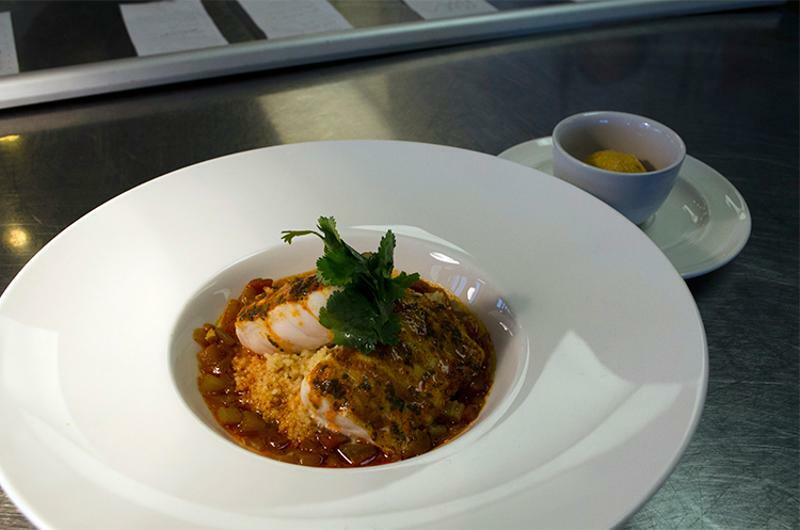 Chef Ryan creates two authentic sauces to accompany the fish. The first is chermoula—a garlic-herb vinaigrette—that acts as a basting sauce during cooking, and the second is a tomato-onion sauce spiced with cinnamon, cloves and garlic that is ladled around the cooked fish. Harissa blended with aioli is an optional condiment that adds a creamy counterpoint. Chef Walrath likes to braise octopus to tenderize and flavor it, then finish it off to order in different preparations. 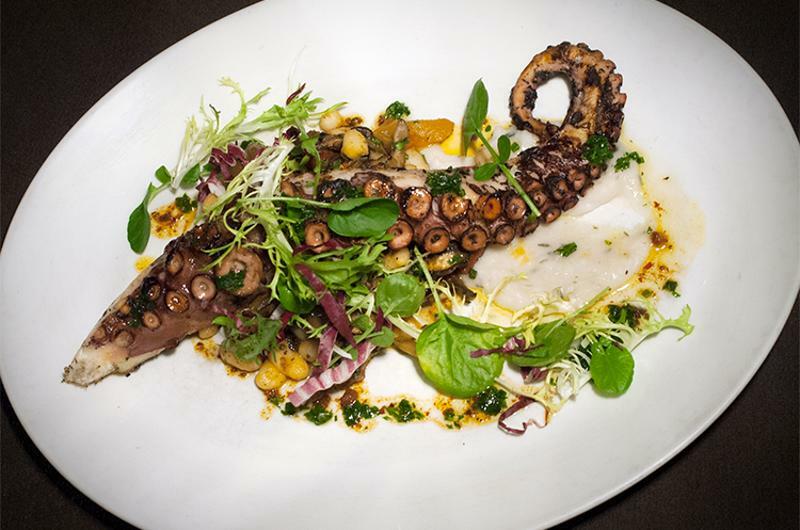 For a shareable starter, he grills or pan roasts the octopus and adds microgreens and a drizzle of citrus sauce. To serve as an entree, he dusts it with cornstarch and pan fries it. With any of the cooking techniques, he also may work the octopus into a pasta dish or risotto. 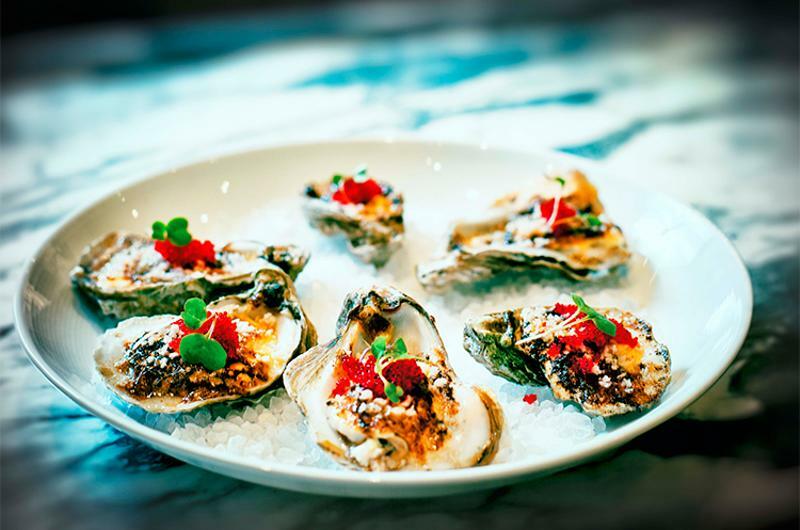 The menu at Trinity boasts a lot of oyster dishes, many of them simply prepared to let the briny flavor of the oysters shine through. Here, chef Isolani treats the bivalves to a slightly creamy, slightly spicy, slightly salty topping, then runs them briefly under the broiler to meld the flavors. 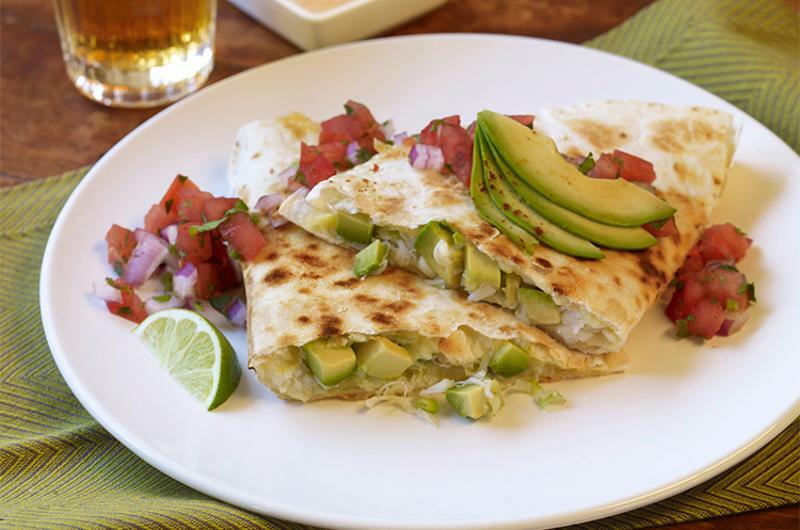 Quesadillas are always a crowd favorite, either as a lunch item, shared appetizer or snack or lighter main dish. This version combines crab, Jack cheese and avocado as a filling for flour tortillas. Housemade Pico de Gallo and Chipotle Aioli add a zesty counterpoint.